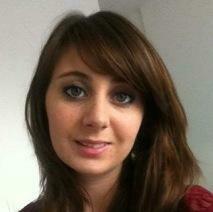 Melanie Berbon graduated from the National School of Technology of Biomolecules (ENSTBB) in Bordeaux in 2011. She then worked in Switzerland for the pharmaceutical group Novartis on the production of therapeutic antibodies selected by phage display (Novartis, Basel 2011-2012). In 2013, she joined the start-up Isogenica in Cambridge to work on the selection of therapeutic peptides by a molecular biology technique called cis-display. In August 2013 she joined the Institute of Biology of Lille as a CNRS engineer in the group of Dr. David Tulasne to study the cleavages of the Met receptor overexpressed in lung cancer (IBL, UMR8161, 2013-2014). In 2015, she joined the Institute CBMN in the group of Dr. Antoine Loquet to set up the laboratory of production and purification of self-assembled proteins for structural analyses by solid-state nuclear magnetic resonance (CBMN, UMR5248, 2015-2018). In december 2018, she obtained a CNRS engineer position at the CBMN Institute to be responsible of the biochemistry platform shared by several CBMN research teams.